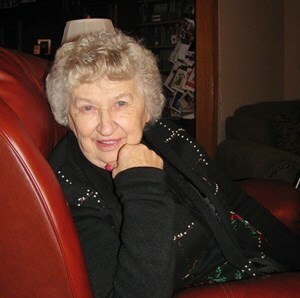 Hildegard Stockwell, 81, of Olathe, passed away on February 8, 2019 at Good Samaritan Nursing Center. She was born on May 16, 1937 to Schlosser and Antonia (Jakobi) Wagner in Krassberg, Germany. Hildegard enjoyed bingo, needlework, and Bunco. Hildegard is survived by her daughters Cynthia Ryker, Janet (Larry) Good, Sonja (Bobby) Martin, Patricia Nunley, and sons Jeffrey Hepler, and Edward (Lisa) Hepler. She was preceded in death by her sons Ronald Hepler and Michael Hepler, and granddaughter Monica Lynn Hepler. Memorials are suggested to the Olathe Towers Residential Fund. Add your memories to the guest book of Hildegard Stockwell. I will miss our talks Ms Hilde, love you! Hildegard always greeted us at Grace UMC with a wonderful smile and friendly greeting. Her cheery countenance will be greatly missed. I am so sad to here about Hilde's passing. She was an amazing lady and a good friend to everyone. My condolences to her family and know that Hilde was loved by everyone and will be missed greatly. Hilde was my floor rep at Olathe Towers when I moved in and became an important part of my life. She made a great impact on my life in the months that I was privileged to call her my friend and I will never forget her. I love you and will miss you Hilde. Condolences to her precious family. So very sorry to hear about your mom. So glad you got to spend some wonderful times together. She was a really sweet & fun little lady. Always a smile for everyone. Sending our love, hugs & prayers. Prayers for all y'all during this difficult time and strength for the future . love you guys ! I have so many memories of the beautiful lady. She knows what they are.